We have discussed about electrical transformer construction,working.When it comes to efficiency of the transformer it is above 95%.In modern power transformers we can get above 98% of efficiency.Electrical transformer is a static device,so no rotating losses or frictional,windage losses.So no mechanical losses occur in transformer.We consider only electrical losses in transformer.Now read efficiency of transformer and losses in transformer below. Eddy current,Hysteresis losses are considered as core losses of transformer.Core losses of transformer almost constant for a transformer after it is built for certain and frequency.Because eddy current loss and hysteresis loss depends on the magnetic properties,volume of the core which is used for the construction.As volume is fixed we can say core losses or iron losses strictly depends only on frequency. 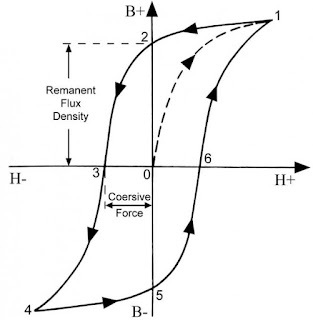 Hysteresis losses occurs due to reversal of magnetization in the transformer core.The magnetizing and demonstration curve of any material will not be same.Some loss happens due to cohesive force between magnetic atoms. How to reduce Hysteresis Loss in Transformer? We can reduce hysteresis losses by using Cold Rolled Grain Oriented (CRGO) Silicon Steel.In earlier days we used silicon steel as transformer core after that CRGO steel found as less hysteresis constant. Transformer works only on alternating current,when AC current is supplied to the primary winding of transformer,it sets up alternating magnetizing flux. 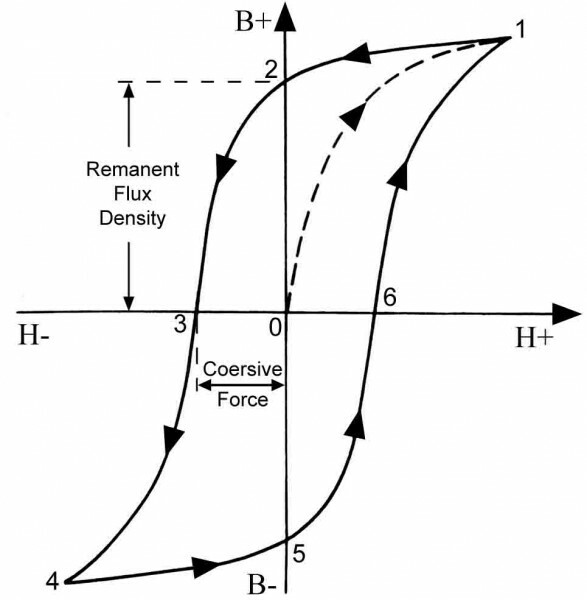 When this flux cuts the secondary winding,emf will induced in it.This main flux also cuts the core of the transformer,As we know whenever flux cuts the magnetic material emf will induce in it.which will result in small circulating currents in them due to closed path of the core. This induced current is called as eddy current. Due to eddy currents, some energy will be dissipated in the form of heat. How to reduce Eddy current loss in transformer? 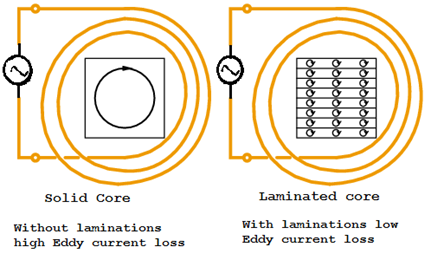 By making the core into laminations.In the above relation you can find that eddy current losses are directly proportional with square of it's thickness.As the lamination thickness is much smaller than the depth of penetration of the ﬁeld, the eddy current loss can be reduced by reducing the thickness of the lamination. Present day we use lamination thickness of 0.25mm operated at 2 Tesla.By decreasing lamination thickness we can reduce the eddy current losses in the core.This loss also remains constant until the frequency of operation is constant. Copper loss in transformer also known as ohmic losses.This loss due to resistance of copper winding.We know that when current flows through a conductor definitely there will be I²R loss in the form of heat. 1.Primary copper losses in transformer takes place due to the flow of current in the primary winding of transformer. 2.Secondary copper losses takes place due to the flow of current in the secondary winding of transformer. where,I1,I2 and R1,R2 are current and resistances of primary ,secondary winding respectively. The primary and secondary resistances diﬀer from their d.c. values due to skin eﬀect and the temperature rise of the winding. 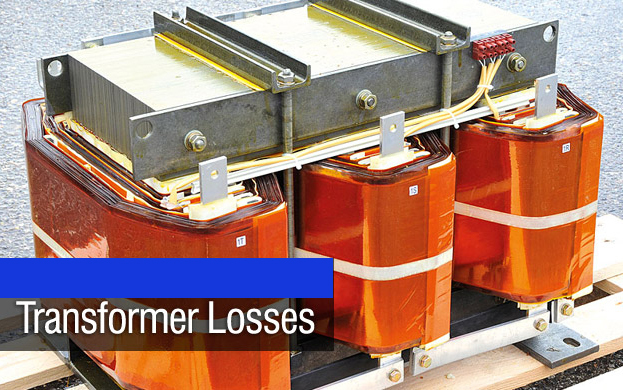 Apart from these major losses we have dielectric loss in transformer.As it's name says dielectric losses takes place in the insulation coating of the transformer due to the large electric stress.It is constant and in the case of low rating transformers it is neglected. Like all machines efficiency of a transformer can be defined as the output power divided by the input power. 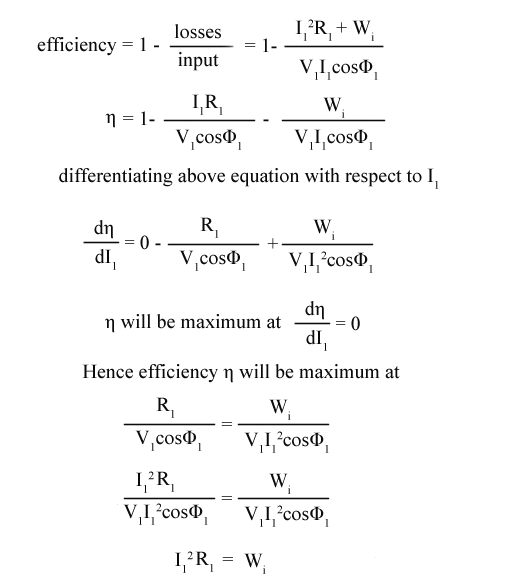 As a transformer being highly efficient[95-99%], output and input are having nearly same value,So it is impractical to measure the efficiency of transformer by using output / input.A practical method to find efficiency of a transformer is using, efficiency = (input - losses) / input = 1 - (losses / input). Hence, efficiency of a transformer will be maximum when copper loss and iron losses are equal.That is Copper loss = Iron loss.